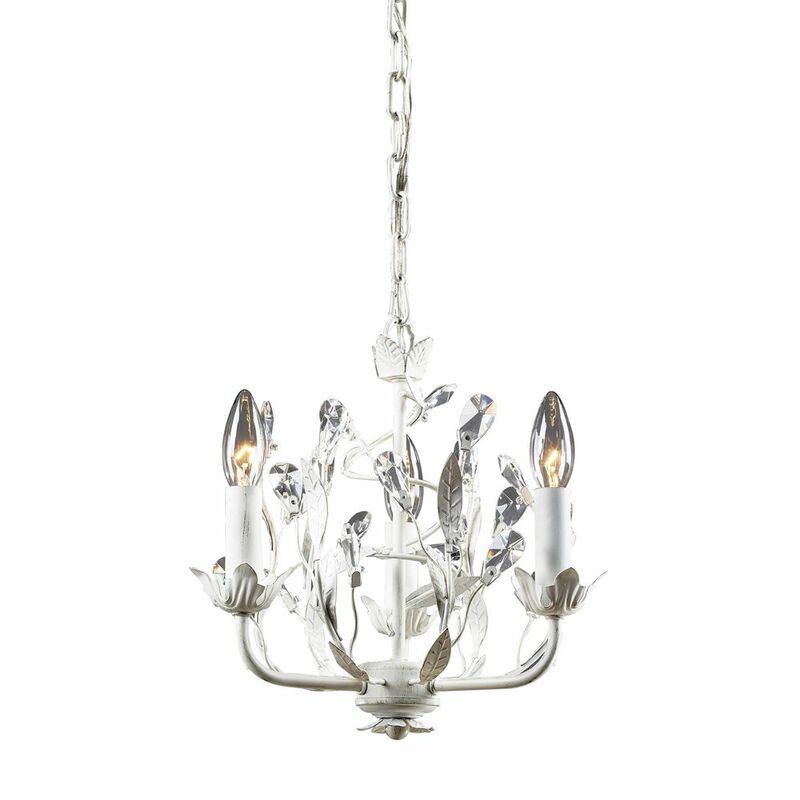 3-Light Ceiling Mount Antique White Chandelier The Magnetic Influences Of This Collection Is The Intertwined Branches Accented By Delicately Cradled Crystals That Resemble Frozen Water Droplets. This Collection Is Featured In A Deep Rust Finish. A Unique Design For any Dicor.